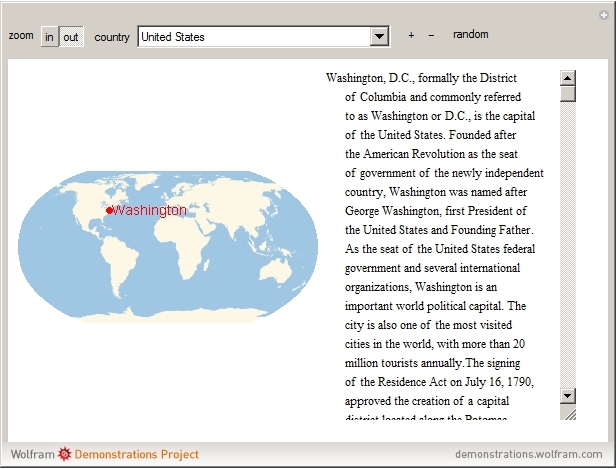 This Demonstration uses entities to find the name, location and WikipediaData on the capitals of countries of the world. Click the "next capital" button to show the information of the next country alphabetically. Click "random capital" to show the information for a random country. 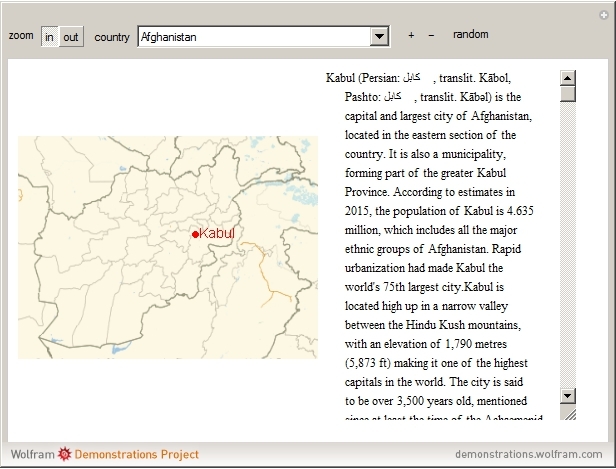 Use the drop-down menu to select any country and find this information. The map will default to show a zoomed-in view of the country; use the "out" button to change the view to show the capital in relation to the entire world. Note that evaluation may take a while at first, as information is being accessed from the internet.